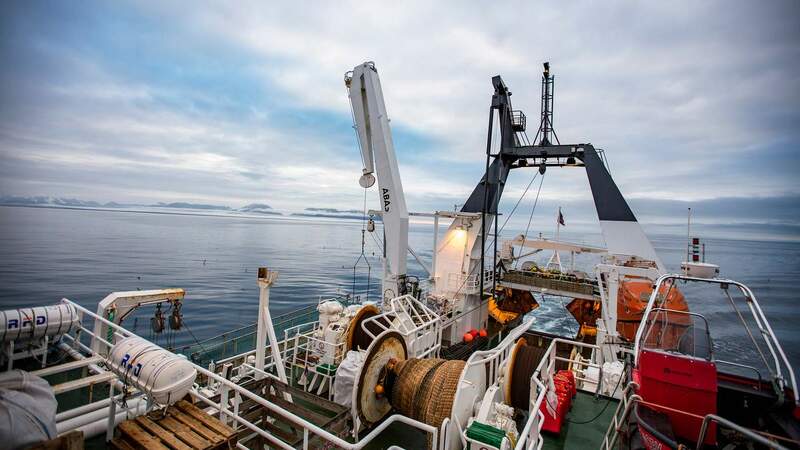 The MSC's James Simpson joined the crew of an Arctic research vessel to investigate the myriad creatures living in the depths of Barents Sea. 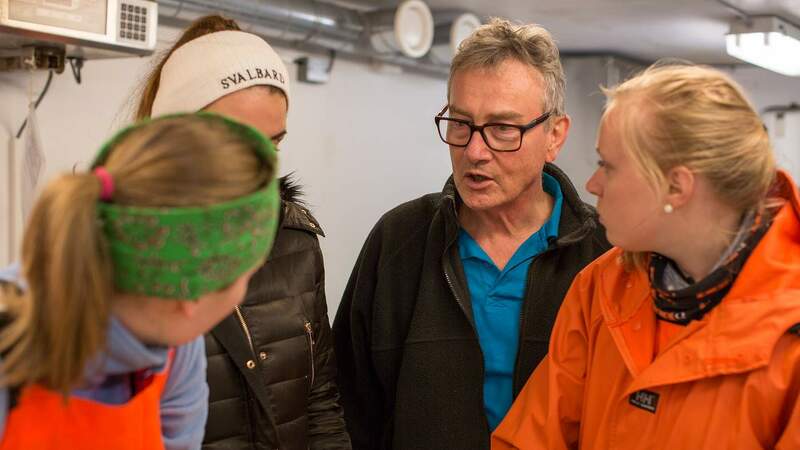 In a small laboratory in the bowels of a Norwegian research ship, a group of scientists is examining a strange collection of tiny dark blobs. “It’s clearly alive,” says the Chief Scientist, Knut Sunnanå,“either a creature or collection of creatures”. But beyond that, he can’t say. 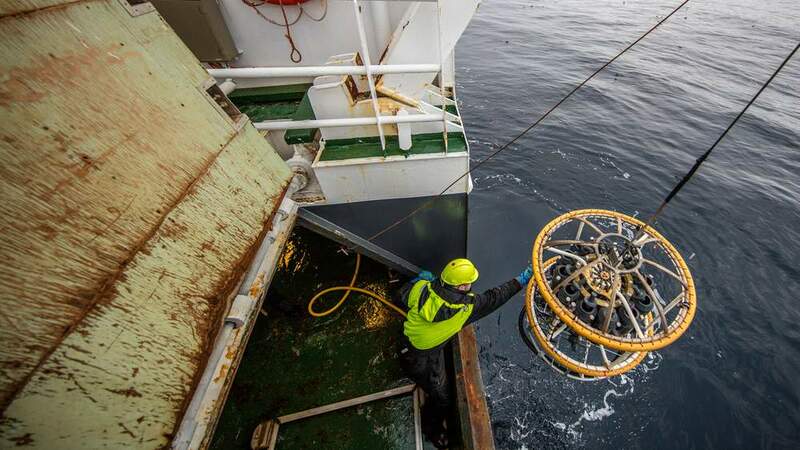 It was the first of many exciting discoveries on an two week research cruise around the Barents Sea, an icy body of water to the north of Russia and Norway that’s the source for nearly two thirds of the UK’s cod. We were along for the ride to find out more about the cutting-edge science that is shining a light on the mysterious region and the multitude of strange creatures that call it home. 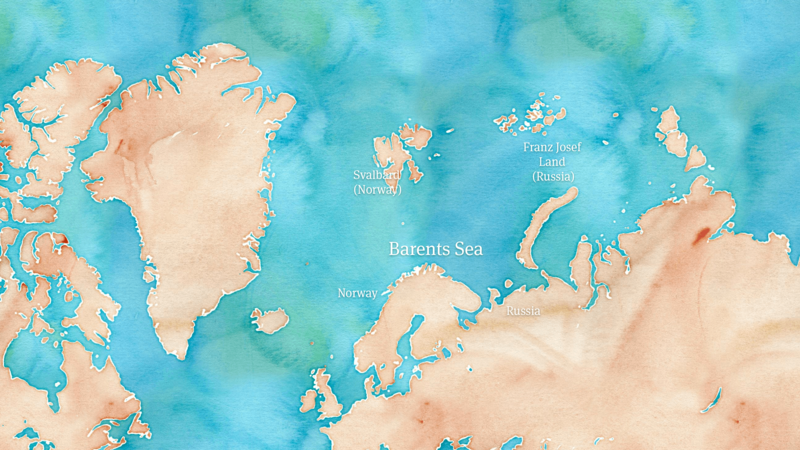 The Barents Sea is about 200 metres deep and almost all the ocean floor is dull mud. But in a few pockets around Svalbard, where the cruise surveys are focused, it bursts with life and diversity. There are cold-water corals, sponge gardens, and extraordinary animals called sea pens. Looking like fragile ferns and tulips, these filter feeders are easily damaged by trawls. In the process, they can ruin nets and catches, so the fishing industry is understandably keen to avoid them. Skippers keep maps of any encounters. 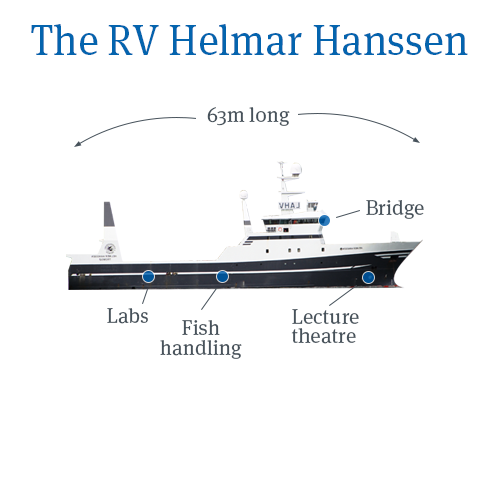 Our ship, the RV Helmar Hanssen, is a 63 metre long converted prawn trawler that’s part laboratory and part university. There’s even a tiny lecture theatre built into the cramped accommodation deck. The crew is a mixture of fishermen, PhDs and Masters students. Each has a different role in finding out about Svalbard’s delicate habitats, and the fish and invertebrates they harbour. 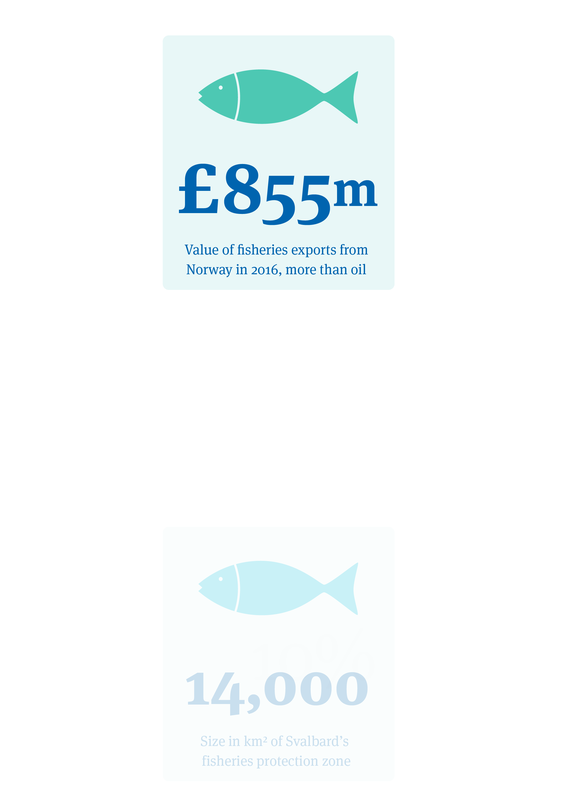 Across Marine Stewardship Council assessments, Norway consistently receives the highest scores for its fisheries management and it’s easy to see why. 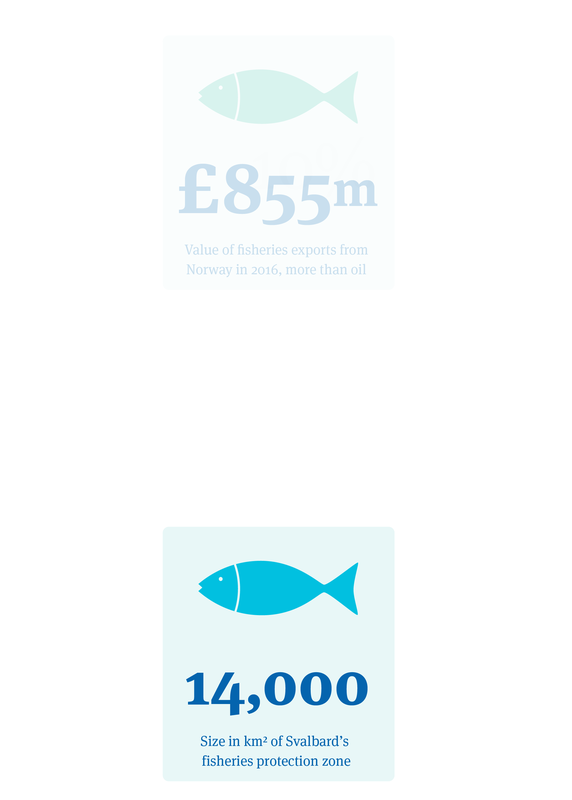 Fisheries here are extraordinarily well-regulated, something that helped the Barents Sea cod and haddock fishery achieve MSC certification a half decade ago. Each batch of fish is sold with a certificate showing where it was caught and those certificates show a trend: as winters warm, trawling north of Svalbard is becoming increasingly common. This trend drew the attention of Greenpeace. 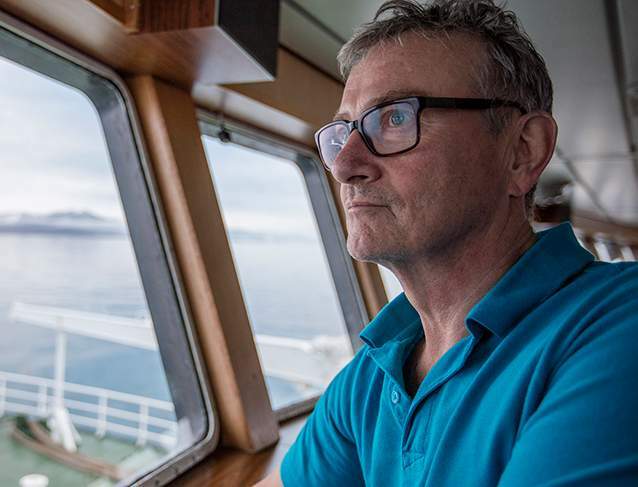 Concerned that retreating sea ice was opening previously pristine areas to trawling, they started a campaign in early 2016 for a moratorium on trawling north of the 75th parallel. 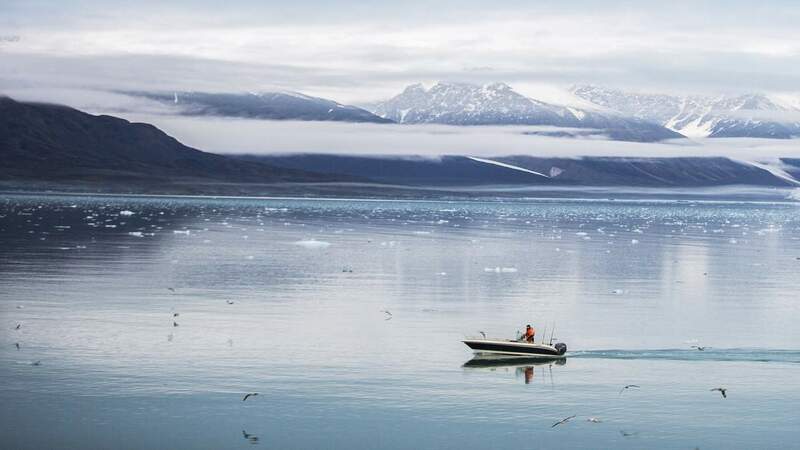 Norway had already closed a 14,000 km sq area around Svalbard to fishing, and now faced the prospect of further closures.​​ But Norwegians are pragmatists. 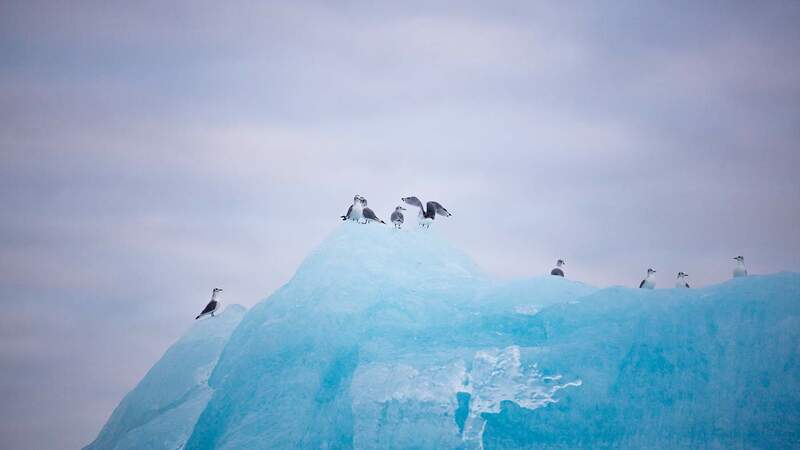 They analysed their data and six months later voluntarily halted any further expansion north into Arctic waters until their army of marine biologists find out for sure what animals are living there. Back on the water, the team are busy conducting a series of scientific trawls to see what lies beneath. 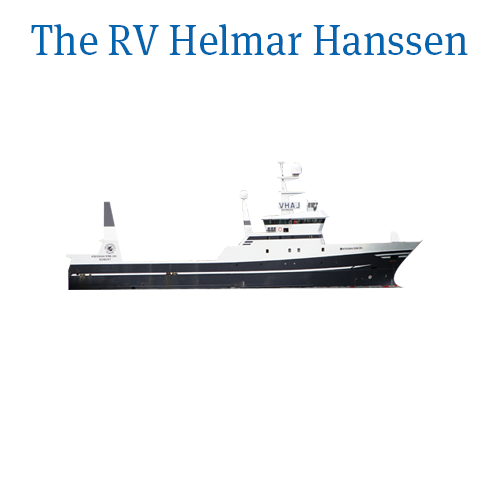 There are no mysterious dark blobs today and the catch is tiny – this is a research boat not a commercial trawler. The students joke about a small lunch tomorrow as a few cod are hauled aboard, along with smaller fish and debris. The team then lowers over the side an odd instrument that looks more suited to a Mars mission than a trip to the bottom of the sea. As it sinks, it takes several measurements, including water salinity and temperature. With these data, the researchers can see where the water came from. In this area, that usually means the Atlantic. The Gulf Stream used to flow to the west of Svalbard, but the changing climate has pushed it eastwards, bathing Svalbardian fjords with warm Atlantic waters. And these warmer waters are bringing something new and almost invisible to these waters. In Arctic waters, as elsewhere in the ocean, plankton underpins everything. Any change has clear consequences on the species that eat it, further up the food chain. Not all changes are positive. The zooplankton (tiny animals that drift near the surface) moving northwards with the warm water contain three times less fat than their northern cousins. 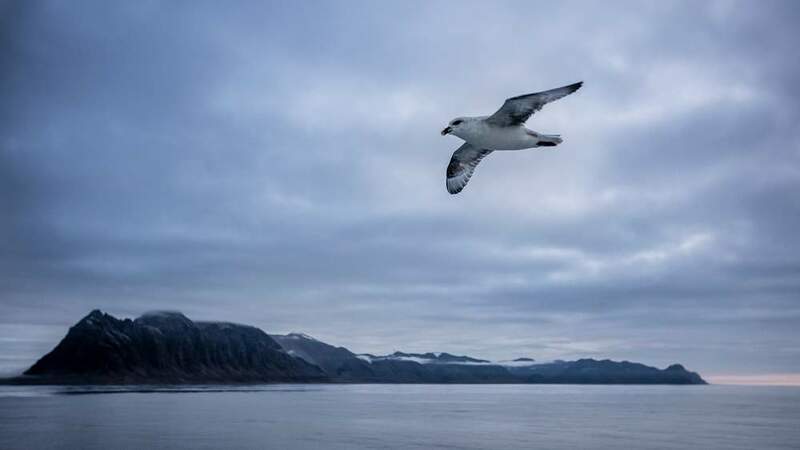 And while low fat foods may be good for overeating humans, they’re a real problem for seabirds like the fulmar gulls wheeling around our vessel. Low fat plankton means smaller birds, and chicks maturing later. So the water’s plankton content is hugely important for Sunnanå. For him, it provides a measure of the changes happening as well as a measure of how strong the cod stocks will be. But it’s not all bad news. The warming seas are great news for several species, including Atlantic cod. 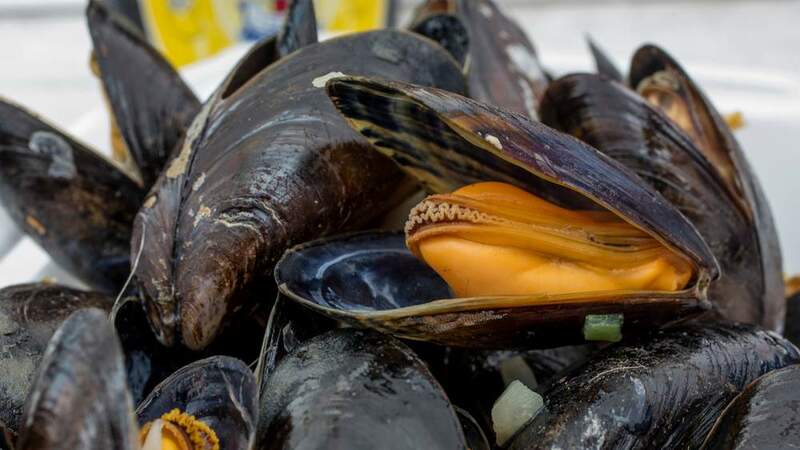 These fish, beloved by Brits for our fish and chips, are thriving in the Barents Sea with large specimens now commonplace. Good fisheries management is often about having a system to monitor changes and adapt to them quickly to protect stocks, ecosystems and livelihoods. With the rapid and increasing pace of change in this part of the Arctic, it’s comforting to know the Norwegians are in charge.